UPDATE 5:20 PM-- The storms around Champaign are moving south, south east toward our area. 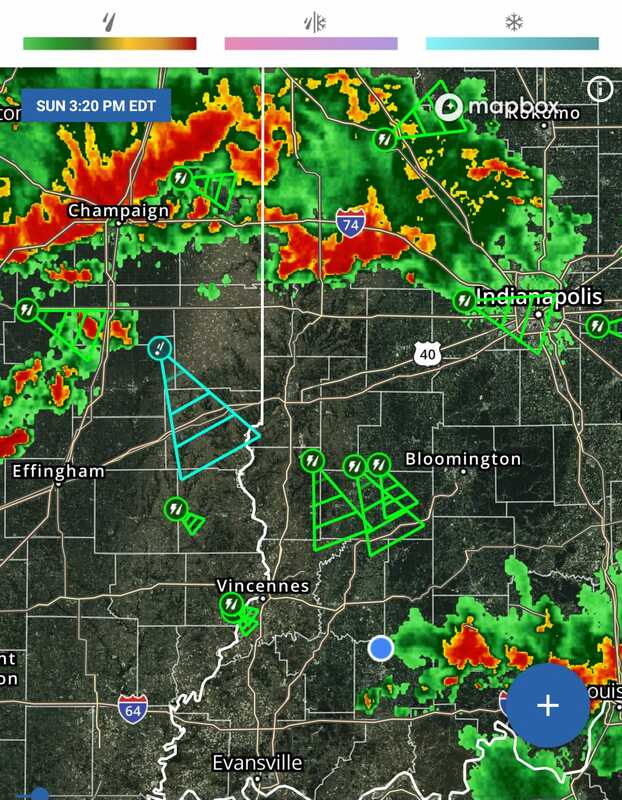 These are the storms that will give us our severe weather risk this evening. - A tornado or two can not be ruled out. Tornado warnings have been issued for this line of storms. THIS INCLUDES THE CITIES OF CORYDON, ENGLISH, JASPER, JEFFERSONVILLE, MADISON, NEW ALBANY, PAOLI, SALEM, SCOTTSBURG, AND TELL CITY. CLARK CRAWFORD DUBOIS FLOYD HARRISON JEFFERSON ORANGE PERRY SCOTT WASHINGTON THIS INCLUDES THE CITIES OF CORYDON, ENGLISH, JASPER, JEFFERSONVILLE, MADISON, NEW ALBANY, PAOLI, SALEM, SCOTTSBURG, AND TELL CITY.